Who knows – maybe it was the beautiful memories of family vacations in Switzerland that at last brought Ulla to Kobler & Partner in Bern in 2017? Fact is, that the centre of her life has moved more and more toward the south during Ulla’s life. Born in the middle of Germany she moved to Munich after finishing her studies in tourism. 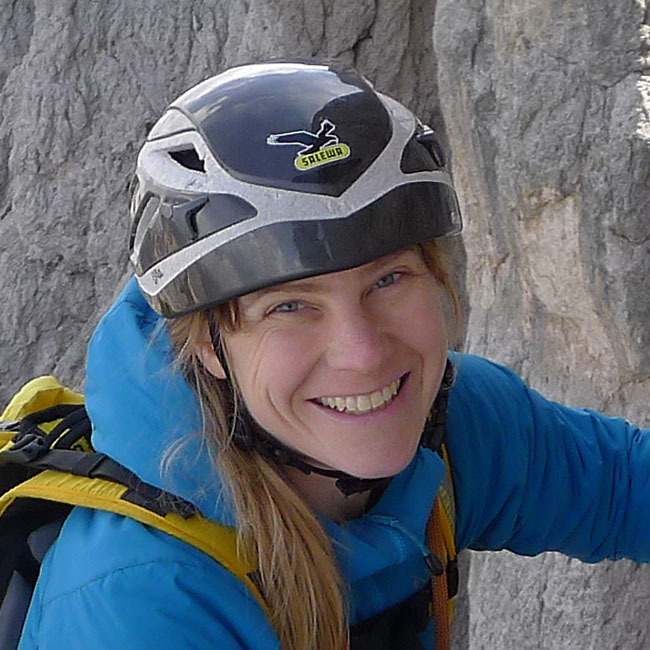 She gathered a lot of job experience at Hauser Exkursionen, a renown trekking-organiser. In her free time she is usually found outside. Not only the Alps have peaked her interest, but also the tall mountains of the world. The first expedition with Kobler & Partner took her to South America on the summit of the Aconcagua in 2013. In the past few years she spent a lot of time in Nepal and ascended the Ama Dablam in 2014 and the Himlung Himal in 2015. But Ulla is also happy to travel to the Abruzzi and Japan for skiing travels. Since Juli 2017 Ulla lives in Bern and is looking forward to new touring goals in the Bernese Oberland. However, there is also a lot left to explore in all over the world. In the office she is knowledgeable on the subject for our guests and she is especially enthusiastic and helpful when it comes to the choice of tours. And all of that she always does with a smile on her face and in a good mood.